CINCINNATI (AP) —The Cincinnati region’s law enforcement community is bidding farewell to the latest of five police officers to die in less than two months. Sheriff Steve Leahy told a packed church Friday he is “devastated” by Brewer’s loss. He says Brewer gave his life as he lived it, “as a hero.” A procession to a cemetery was planned following funeral services. Brewer was gunned down last weekend after responding to a suspected suicide attempt by a man barricaded inside an apartment. Another officer was wounded in the leg before a man was arrested. Funeral services and a procession to the cemetery were set Friday for the latest to die. Twenty-year Clermont County sheriff’s deputy Bill Brewer was gunned down last weekend while responding to a suspected suicide attempt by a man barricaded inside an apartment. Another officer was wounded in the leg before a man was taken into custody at the apartment complex. The Hamilton County coroner says she has been wearing a black mourning band over her badge since Dec. 17, when the string of deaths began. Lakshmi Sammarco (lak-SCHMEE’ suh-MAHR’-coh) has been the Cincinnati-based coroner since 2012. She can’t think of any comparable period for so many police deaths so close together. 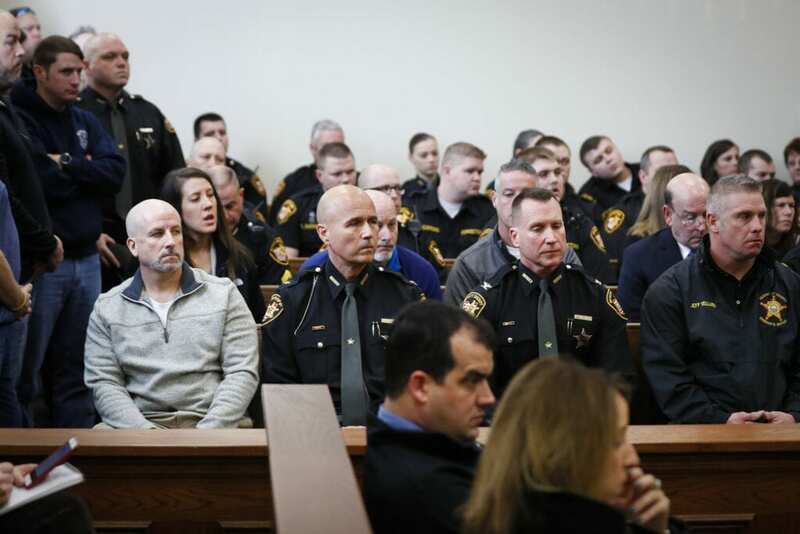 Be the first to comment on "Reeling Ohio Law Enforcement Community Bids Another Farewell"